Is it Friday yet?? This has been one long week and I cannot wait for the weekend to get here. Poor Vivi has been sick since this past weekend and that means this mama is one tired mama. I'm sorry that I am just now blogging, but I have been physically and mentally drained this week. I attempted to blog last night, but it was completely futile. I did however manage to watch the Presidential debate, which was entirely too distracting to get anything done. 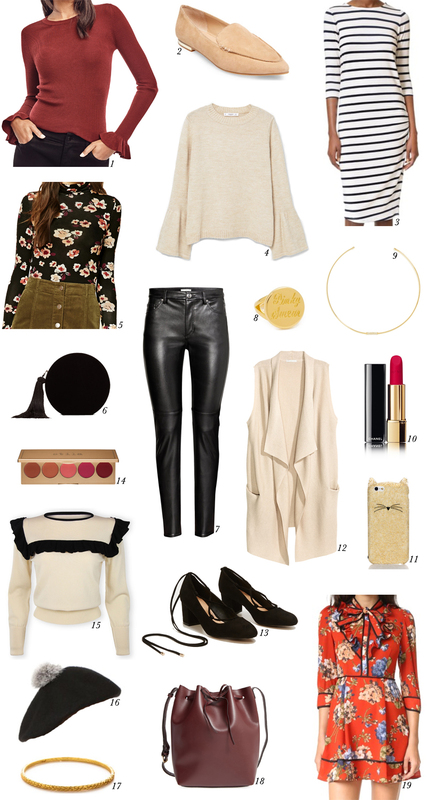 But to make up for it, I rounded up some amazing Fall picks that are under $100! With the holidays sneaking up on us, I thought I'd get round-ups like these made a little earlier so that you can get your holiday shopping in a bit sooner. We all know the pinch of buying all your gifts last minute (so painful to look at your bank account, right? ), so let's all make a pact to be good this year and start gift shopping now? Who's with me?